“You’re basically walking right out into the ocean,” the trail volunteer explained. This thought intrigued me. I’m used to walking along beaches, a spectator to the sea, but to walk straight out into it… for miles? It’s true. 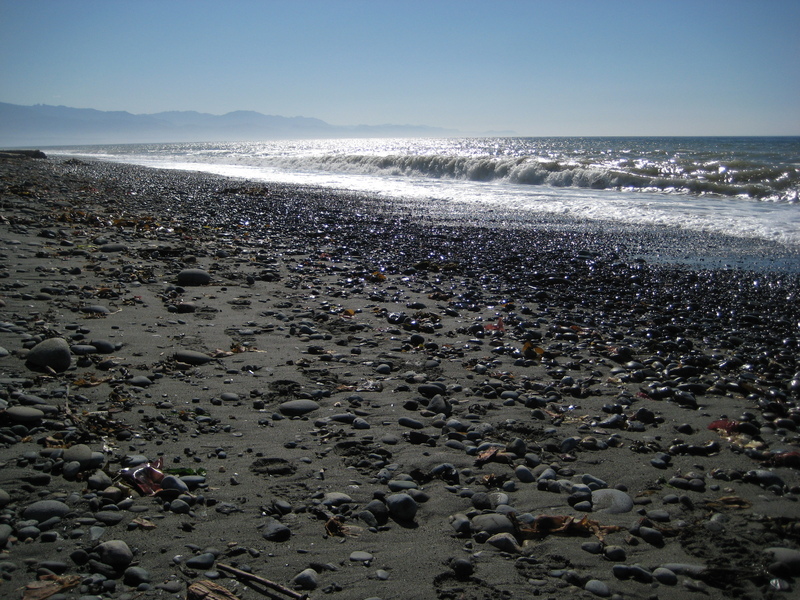 When you walk the Dungeness Spit trail, you’re led 5.5 miles out into the choppy waters of the Strait of Juan de Fuca. Under your feet is skinny strip of land, made even skinnier when the tide comes in. If it sounds unusual, it is. Only 40 or so spits exist in the world. 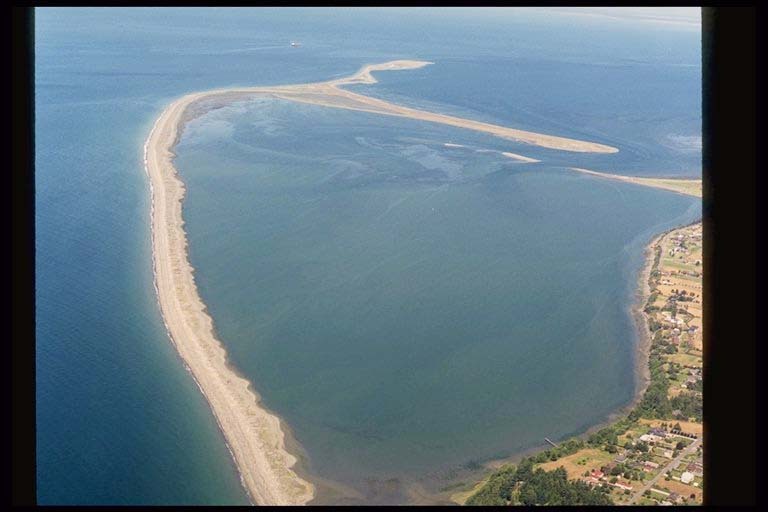 Dungeness is the longest natural spit in the US. Not only do you get the joy of this unique experience, but there is beautiful scenery helpfully surrounding you – snowy Olympic Mountain peaks behind; Vancouver Island, Canada hazily ahead. Sometimes a ghostly cargo ship will pass in the distance. I’m not a sailor, but even I have heard stories about how treacherous this water can be. I’ve yet to see a sailboat. Even just walking on the trail, I’ve experienced unrelenting wind during both of my visits. For me though, this only adds to the intrigue of this place. There is something about being lashed by the elements that wakes me up and refreshes me. The holy grail of this walk is getting to the lighthouse at the end of the spit. 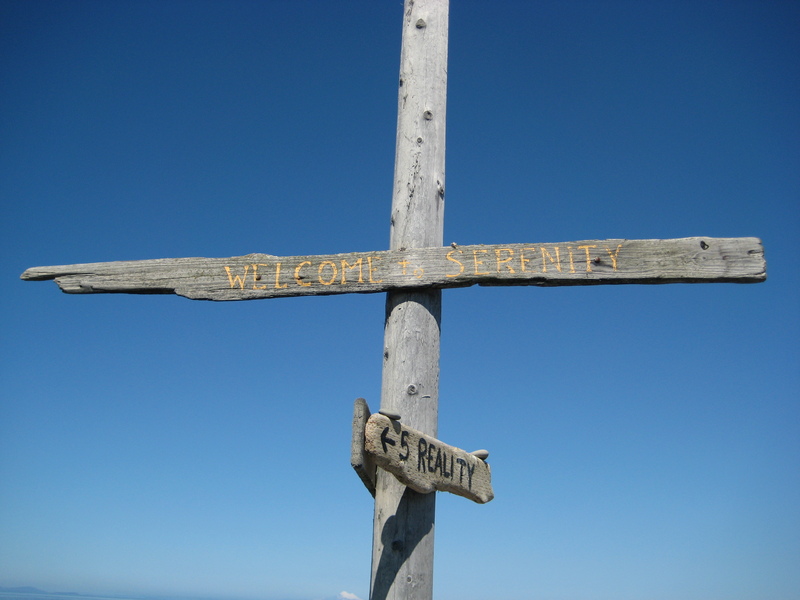 Although there is no elevation gain, it can be a strenuous hike if the tide is coming in. At such times, you’ll be gradually forced up from wet, hard-packed sand (easy to walk on) to loose rock and soft sand (not so easy to walk on). That being the case, it’s a good idea to plan this hike around the tide charts to avoid high tides. Your feet and hips will thank you for it. Don’t feel like you need to reach the lighthouse though. Just meandering down the spit, and sitting and taking it all in, is more than enough. Bring a book, bring a camera, bring pockets for rocks, bring a picnic, bring a friend, just bring yourself. Wander, look, watch, relax, enjoy. so cool! i lv the last foto of the beach and rocks…was this with your film or digital? i might just have one of you taking this…heh, heh. seriously…it’s cool and captures it well…the sunlight and rocks and misty air near the mountains. one of my fave days this summer…even though we paid for it in soreness! It was my little pocket digital. Ha, I bet you do!